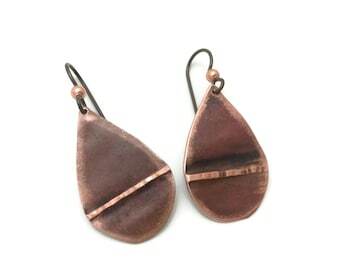 These leaves begin with a flat sheet of copper cut in the shape of a leaf and stem. 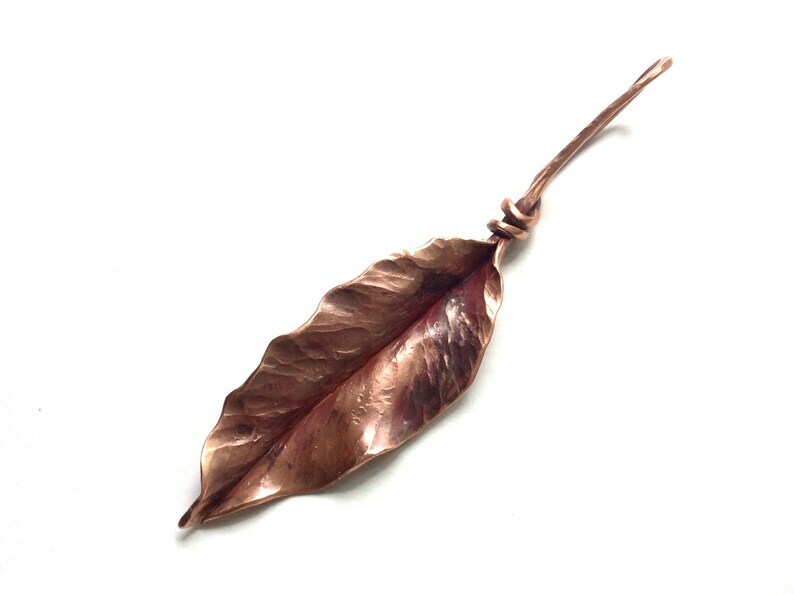 I then texture and forge them into a flowing ivy leaf form with the stem twisting into a loop to hang from a cord, chain, or keychain. This particular leaf measures 4 inches long.